Well, that title was a mouthful! 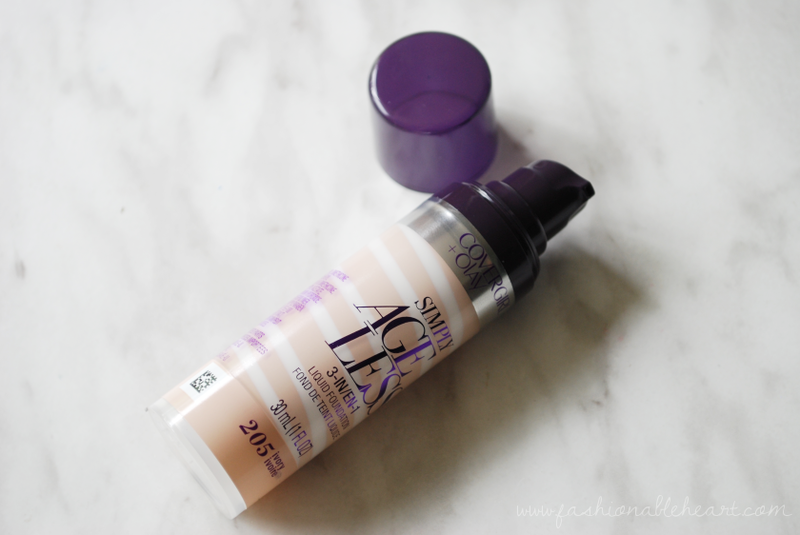 It has been a long time since I have tried a drugstore foundation, much less one that I like. Heck, it has been a while since I have fallen for a foundation. Powder, BB, and CC cream formulations, yes. Straight up liquid foundation? I can't remember the last time. 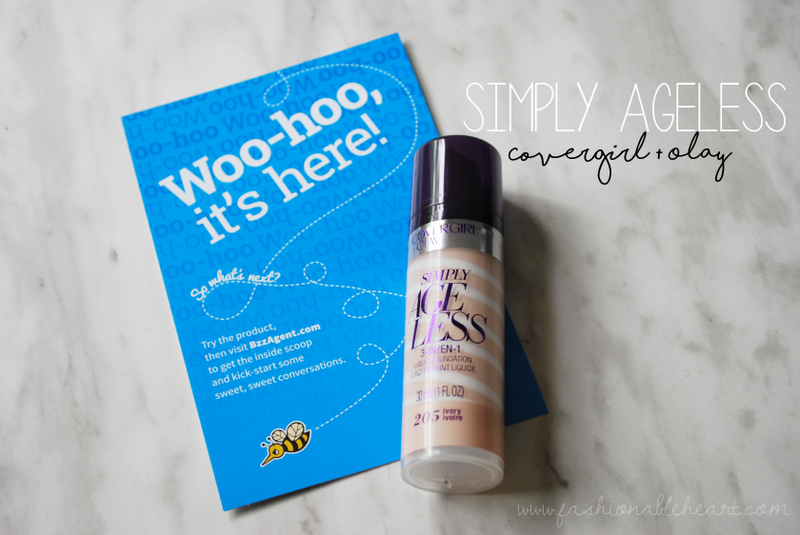 So I was really excited to get the chance to try the CoverGirl + Olay Simply Ageless 3-in-1 foundation! When the BzzAgent foundation campaign started, they gave a choice of a few different ones but you had to check the shades first. Having the fair skin that I have, there was only one option that not only was available but looked pale enough to work. If I researched correctly, there are twelve shades and this is the lightest. I would go a little lighter if I could, but this works once it is blended in. Long live foundations with pumps! This one has a nice tension and does not pump out more product than you know what to do with. The serum swirl is great for my dry skin. My skin really does feel hydrated while wearing it and it lasted at a cookout the other week in hot weather. The 3-in-1 can refer to it hydrating skin, reducing wrinkles, and improving tone and also toward it being a primer, concealer, and foundation in one. Not bad for a bottle of foundation! While it is targeted toward aging skin, it has been great for me. I can't say that it reduces wrinkles, as I don't have any yet. But my dry patches aren't nearly as noticeable, my skin feels soft, it doesn't feel heavy, and I noticed no oxidizing. 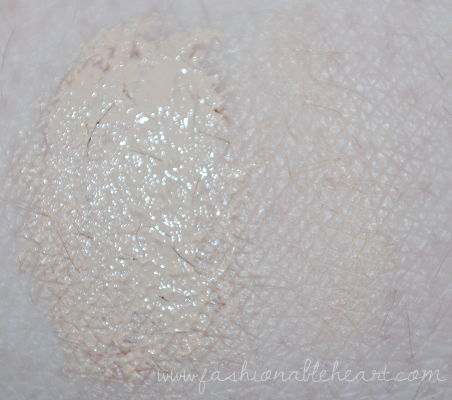 Coverage is pretty decent and covers a bit of my redness, but I do still use a concealer. For me, I found my preferred method of application to be a wet sponge applicator. That is just how I prefer to do it. I have also been mixing liquid highlighter in it lately and it works wonderfully for that. If you have dry skin, I think this is great. The formula works like a charm. It does have a scent, which I assume is from the Olay serum. It can be a little overpowering, but it does dissipate during the day. Something worth noting if you are sensitive to heavily scented products. All in all, I like this foundation a lot. The pros outweigh the cons for me. A little goes a long way and I don't wear foundation everyday, so I think this bottle will last me quite a long time. Would I repurchase? I think so. Unless I try something else that knocks it off of the pedestal. You know how us beauty bloggers are. We're always looking for that holy grail! I don't know that I would say this is HG status, but it is pretty close. Even better that it is a drugstore product! Have you tried this foundation? Which foundation are you currently loving? Hope you have a great weekend! **I received this foundation from BzzAgent for testing and reviewing purposes. Thoughts and pictures are my own and there are no affiliate links in this post.